Fisher Island is known as a “barrier island.” For those of you who are new to Florida, barrier islands are those that run parallel to the mainland and are separated from it by a bay, a lagoon, or other waterway. Barrier islands can be man-made or natural. Fisher Island, which is man-made, lies 3 miles off the coast of South Florida and is accessible only over the water by ferry. 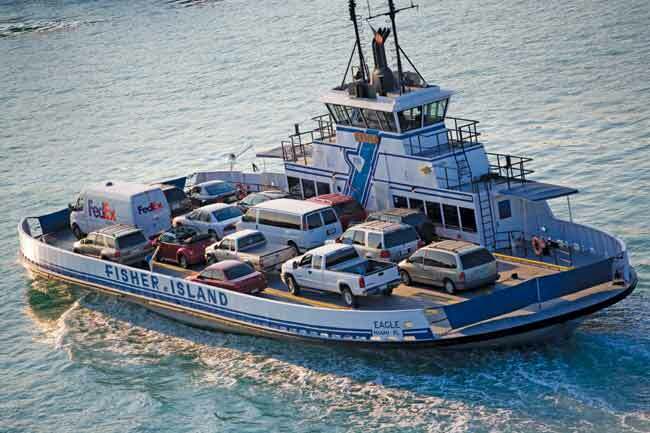 The ferry service works 24 hours a day and it leaves every 15 minutes. Not everybody can access Fisher Island, you need to be either a resident or a resident's guest to gain access to the island. Fisher Island is also the name of the affluent neighborhood on the island, comprised of just over 225 homes. 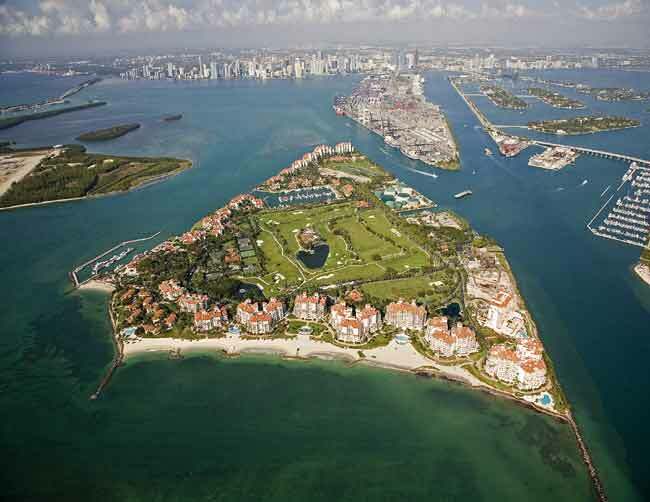 Fisher Island owes its existence to a 1919 dredging effort. Purchased by auto parts magnate and land developer Carl G. Fisher, he sold the island five years later to William Kissam Vanderbilt II. Actually, he traded the island for Vanderbilt’s yacht. Since then, Fisher Island has changed wealthy hands a number of times until, finally, development began in earnest in the 1980s. Today, Fisher Island is home to a private school, a resort, condo complexes, and, naturally, a number of amazing mansions. Several celebrities own homes on the island. 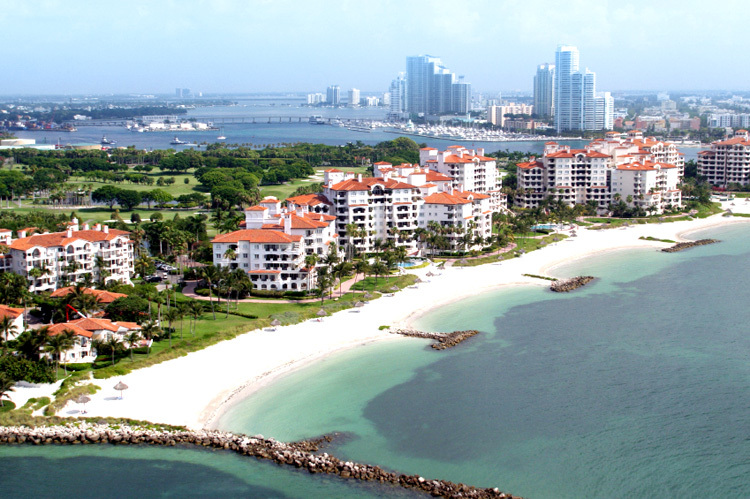 According to Forbes Magazine, Fisher Island is America's richest zip code. Fisher Island Club is the vacation resort located on the island. With only 45 rooms, Fisher Island Club offers the ultimate, intimate getaway destination. 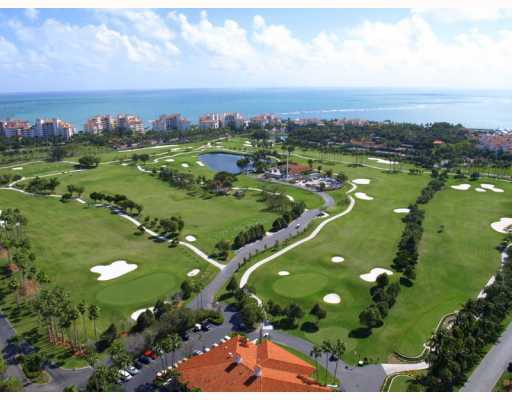 Golfers may be interested in The Links at Fisher Island, a 9-hole championship track (designed by P.B. Dye) with a clubhouse, driving range and complimentary golf carts for resort guests. For sun lovers, the resort offers a private beach with butler service or the saltwater-filled Vanderbilt pool. Eateries include an Italian restaurant, a pizzeria, the Golf Grill at the Clubhouse, steak and fresh seafood at the Vanderbilt mansion and more. Before your meal enjoy cocktails at the piano bar in the Garwood Lounge. The purchase price for the Fisher Island Club equity membership is $250,000 and the annual dues are approximately $20,000.00/year. Food and beverage minimum is $1,500/year. 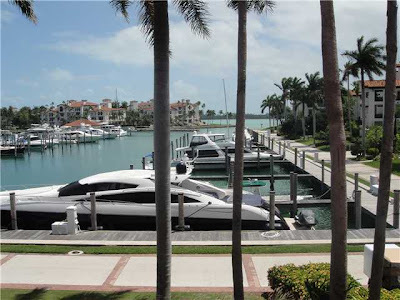 The equity membership is optional for condo owners in Fisher Island. In other words, you can buy a unit in Fisher Island without becoming a member of the Club. In some cases, if the seller of a Fisher Island condo is selling his membership and the buyer purchases it concurrent with the condo closing, the seller can get some of the proceeds from the sale of his membership (80% from the Club) at closing, as long as the seller is current. You’ll find a number of Fisher Island condos dotting the outer edges of this exclusive island. The communities inside Fisher Island are: Marina Village, Seaside Villas, Bayside, Bayview, Oceanside, Palazzo Del Mare and Villa Del Mare. 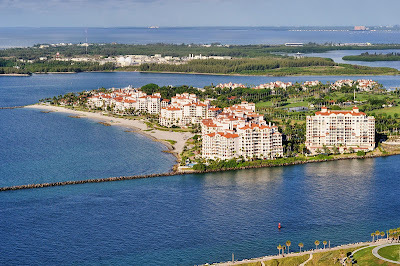 Each community has a separate condominium association and there is also the master association of the island (Fisher Island Community Association or FICA). Therefore, when you buy a condo in Fisher Island you pay maintenance to your specific community association and to the master association. Another aspect to consider is that any modification or work to units must be approved by the individual association and the master association. Also, exterior work, for example windows or doors, must be approved by the Architectural Control Committee (ACC) which is part of FICA and whose responsibility is to maintain the integrity of the exterior of all the buildings in Fisher Island. Currently, there are 87 condos for sale in Fisher Island. They range from $340,000 in Marina Village for a 1bed/1bath with 465 square feet, to $14million in Oceanside for a 6bed/6bath with 6,820 square feet. At the lower end of the price range sits a 2-bedroom, 2-bathroom bayside unit with views. Located on the west side of Fisher Island, this unit is offered at $1,150,000. For $1,400,000 you can purchase a deep-water dock slip, in a prime location, in front of the Trattoria. At the top of the Fisher Island condo price range is an amazing 6-bedroom, 6-bathroom home. 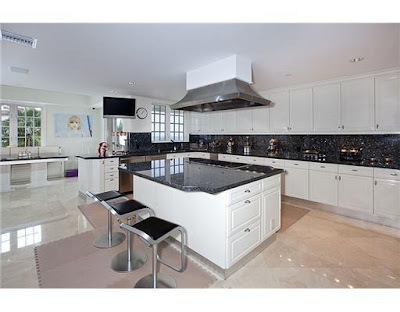 It features, gleaming marble floors, an oversized open kitchen, a state-of-the-art security system and more. This home is offered at $14 million. We are happy to show you any available Fisher Island properties and to answer any questions you may have about the island. Feel free to contact us. The island is beautiful look forward to seeing more posts! Thanks for posting!